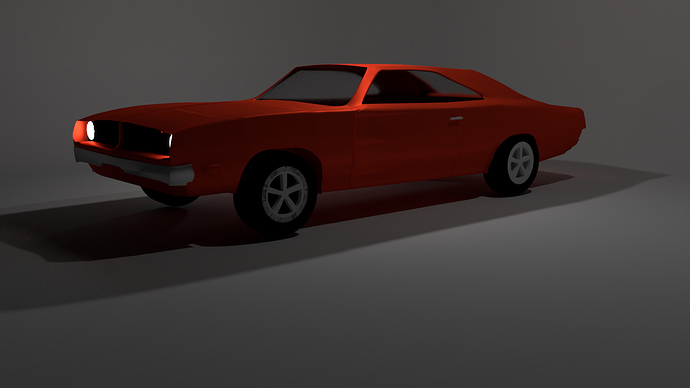 I am working on modelling a car (1969 dodge charger) and I did a render today but I feel like I am missing something. I want it to be a realistic render but it just looks fake. 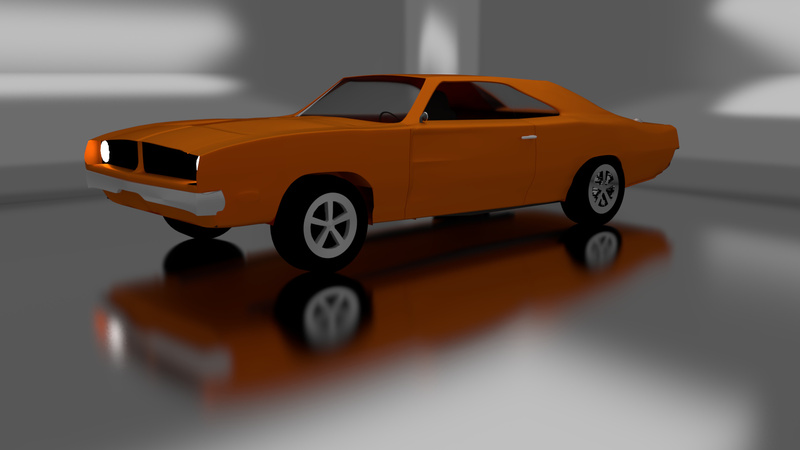 This is my first car and I did not follow any tutorials (other than specific items). Nice! I’m not an expert with cars, but better lighting may help. If youre not already maybe a mesh light (a plane or any other shape really with an emission shader) or two could help. Maybe put some lights behind the camera and angle them a bit. Also, youre first car project is bettwr than mine. One of the many things i can get better at haha. I have taken your advice. Any more ideas? It still does not look as real as I would have liked. Maybe I should work on the wheels. Great work for your first car! In saying that I think notice several things that would help improve the final look. I’ll start with the easiest to implement. Materials - Try and use the correct materials, this will allow (provided the correct lighting & rendering) your model to look more realistic. Textures - Nothing in real life is perfect, unfortunately computer generated images start this way. So adding in dirt, scratches, colour variations (even minimal) helps a lot. Geometry - A good rule of thumb is that you need a minimum of 3 edge to create a hard edge (less for soft edges), meaning the light interacts the correct way with it to achieve the realistic look. Details - This includes everything I have mentioned above and more. Things like number plates, windscreen wipers, key holes etc. Details is what separates the best from average (in my opinion). I hope this wasn’t to long of a response for you. Thank you so much for the ideas. I will try them out soon. I agree that details is an important part of making it look good and I kind of got lazy when it comes to details. I agree that I should make it less perfect. I am kind of still a blender noob so I don’t really understand what you mean in tip number 3 about geometry. Can you please clarify? Also do you have any suggestions on the materials? Regarding geometry/topology (I cover this on my youtube channel) if you have a single edge in combination with smooth shading it looks soft/rounded. To make an edge look hard/sharp add two edges parallel (either side) of the first edge. This is a fundamental principle in polygonal modelling. Regarding materials, look into PBR. Essentially you create different materials like rubber for the tyres and glass for the windows, metallic paint for panels etc. These materials have the properties of real life surfaces. On top of this or during this part you can and texture like mud and dirt, rust etc.